Arrival in Vilnius, our driver will drive you to your hotel, check-in. In the morning your private guide will invite you for a walking tour of the Old Town: The Cathedral, The Upper Castle, St. Anne’s Church, Old University, Peter and Paul Church, and the Gates of Dawn. In the afternoon - an excursion to Trakai, the medieval capital of Lithuania. Its well preserved Trakai Castle is located on an island in Lake Galve. In the evening - optional folklore dinner at Restaurant Belmontas. Overnight in Vilnius. On the way to Riga, the first stop is the Hill of Crosses, one of the holiest sites of Catholic Lithuania. After crossing the border to Latvia, we stop at the magnificent Rundale Palace, the former summer residence of the Duke of Courland. After a guided tour of the palace, we continue through the rolling hills of Southern Latvia to Riga. Check-in at the hotel. Overnight in Riga. 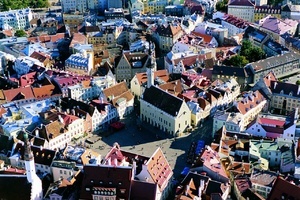 Riga became known since 1201 and is the largest of the three Baltic capitals. The city has many to offer - magnificent cathedrals, Art Nouveau architecture, fresh food markets, and many other inspiring places. Your private walking tour of the Old Town includes Riga Castle, the Three Brothers, the Swedish Gate, the Dome Cathedral, St. Peter’s Church, the Large and Small Guilds and the Freedom Monument. The afternoon is for an optional visit to Jurmala, the Latvian sea resort, famous for its wooden architecture and sandy beaches. In the evening we offer a Latvian dinner at the Muusu Restaurant. Overnight in Riga. 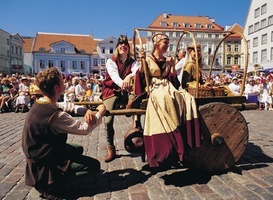 Today you will have the possibility of discovering medieval Latvia. The tour will take you to the remarkable Gauja National Park and the town of Sigulda. You will learn the medieval Latvian legend of the Rose of Turaida and see the remnants of the Episcopal Castle and the Castle of the Knights of the Sword before returning to Riga. The afternoon an optional visit to the Ethnographical Open Air Museum, a spacious exposition of 18th-century country life. Overnight in Riga. Today the tour takes you along the coastal highway to the Estonian summer resort Parnu. After a short tour of the resort, we will drive through the North Estonian land of forests and in the early afternoon arrive in Tallinn. Check-in at the hotel. 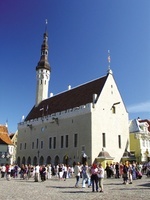 Overnight in Tallinn. 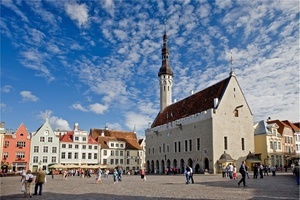 Tallinn is a charming capital of Estonia blending medieval tranquillity and modern life. The medieval Old Town is busy with locals and tourists browsing its many shops, markets, galleries, cafés, bars and restaurants. 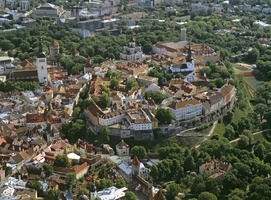 The walking tour will take you into the Old Town where you will see Toompea Castle, Alexander Nevsky Cathedral, Dome Church, the Old Town Hall, and Great Guild Hall. In the afternoon you can take an excursion to Kadriorg Park and KUMU, the award-winning new Estonian Art Museum, displaying collections of classic and contemporary fine art. In the evening an optional medieval-style dinner at Restaurant Maikrahv. 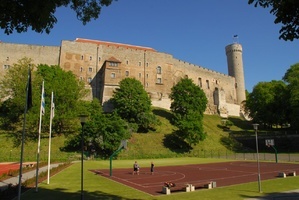 Overnight in Tallinn.